A delegation from the Geneva-based International Trade Centre (ITC) has traveled to Iran to explore ways for the further expansion of ties with Tehran as new US sanctions loom. The ITC mission is in the Iranian capital to hold various meetings with senior Iranian officials and representatives from key firms only two days before the first round of new US sanctions kicks in. On Saturday, members of the multilateral agency sat down with Iran's Trade Promotion Organization (TPO) Head Mojtaba Khosrotaj and exchanged views about ways to boost trade and support small and medium-sized enterprises (SMEs). 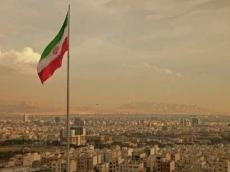 The delegation will leave Tehran on Sunday, IRIB news agency reported on August 4. US President Donald Trump withdrew from the Iran nuclear deal in May, and Washington now plans to re-impose sanctions on Tehran. The first round of US sanctions on Iran goes into effect on August 6, followed by ones targeting Iran's oil exports on November 4.